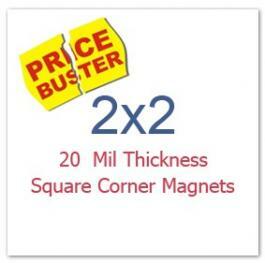 2X2 Magnets – How Do they Score Over Small Value Promotional Gifts? Coming back to the necessity of promotional gifts. Why are they given? To make impressions and build goodwill right?! 2×2 square magnets exactly do the same. They can build impression and come to use at the same time. The main intention of promotional gifts is to make people aware of a business existence. Small square sized magnets would do the same. They would feature over refrigerator doors and keep people reminding about the business and business owner. As you might have noticed that small promotional gifts loose their charm and people trash them after a certain point. This is where 2×2 magnets can make a difference. People have affinity towards colorful magnets and they do not give on them easily. This means these small square magnets are going to hold audience longer than any other small promotional gift you have invested. It will continue to remind customers your accessibility, when all other gifts have stopped working. When it comes to selecting an appropriate promotional gift marketers often get skeptical about their choices. They might think twice before gifting away an item, but with square magnets 2x 2 this skepticism evaporates because everyone can use them. They work perfect for businesses of all sizes. They can use it for highlighting their brand logo or popularizing their brand slogan. 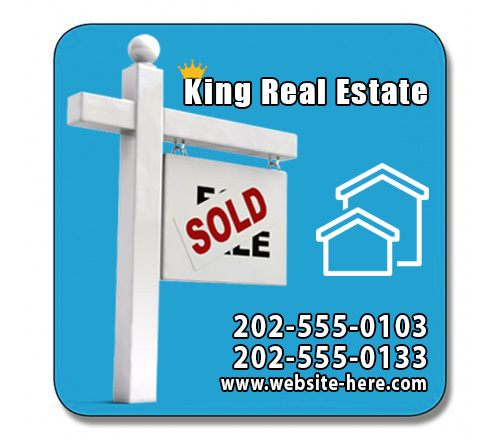 Most so called small value promotional items are not affordable but small 2×2 square magnets largely remain affordable for businesses of all budget sizes. Marketers are largely availing them for value building because they know that big magnet stores are offering them discounts on bulk orders. The problem with most small budget promotional gifts is that they come with their own set of limitations. For example – a pen may not be seen by anyone else other than the recipient. They may not be compelled to discuss it with others often, whereas a full color promotional magnet ends up on the refrigerator door or other equally impressive spaces. They are seen by everyone and people would occasionally discuss it with others. This means your business information is going to remain before their eyes at all times. Another most appreciative feature of these customized square magnets 2×2 is that they can be availed at excitingly lower prices on bulk ordering from a reputed online store. Savings are offered in the form of free art setup, free online design proof and free shipping.